This entry was posted in rochester and strood and tagged conservatives, David Cameron, Health, mark reckless, Medway, medway council, NHS, politics, rochester and strood, UKIP. Bookmark the permalink. Every ninny weasel response he makes, every ninny weasel attack on UKIP to avoid the issue, every lie, every pretence that he’s more yellow and purple than UKIP, all gain votes for UKIP. Was this ninny weasel attack televised and can we get a copy of it? Why don’t you get clips of it from BBC and put them up on YT so he’ll get a lot of letters from angry UKIP people like me? WE know how to attack him, remember. You can be reassured Mark that we are all behind you – we are real stalwarts and will stand for no nonsense. David CaMoron is digging himself a grave and the rest of his cronies. Keep up the good work and don’t let them get you down. We will win in May 2015 again. 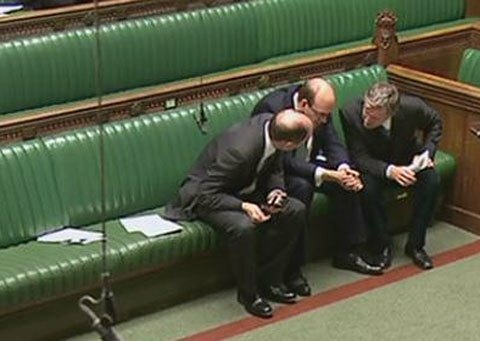 Dear Mr Mark Reckless your patience is boundless, you are under attack in Parliament, sometimes from Labour Party (Mr Skinner), sometimes from Tory Party (Prime Minister), and they all booed and heckled you too during your first question as UKIP MP to PM. I doubt the credibility of those who don’t accept the democratic verdict of people of Rochester and Strood and misbehave you even in the parliament…..I salute your patience, your confidence, your courage, your stand and believe me you look like alone but we are with you……..we will never let you alone……….you are respecting and well behaving and i hope circle of UKIP will become greater and stronger in the days to come………crack on…..well done!!!! Thankyou Mark for your blog…there is a lot of disillusionment in the country and we need good people like yourself to keep UKIP going!!! There are precious few good guys (& gals) in Westminster, fortunately UKIP have 2 very great ones. Thank you for your fortitude & your honest & genuine representation of the many concerns voters have regarding the present direction of this country. It is a total disgrace to witness the behaviour of our other ‘serving’ MPs; one wonders exactly who they think they are serving, apart from themselves & their political party’s self interests. Zac Goldsmith appears to be another good guy & should seriously consider joining UKIP. Please be mindful of the fact that you DO NOT represent the electorate of Rochester & Strood. For all that your supporters can argue that you won fair & square in a democratic election, I would point out that only 24% of the electorate voted for you. If you want to keep your seat in Parliament, be sure that you act on local issues and not trumped up national issues. He has raised a couple of local issues already, the Medway Hospital and also the gypsies using the car park in Strood…don’t be quick to judge….P.S. 24% was enough to give Mark a win and let’s be honest, it would have been nearer 30+% had CaMoron not gained some votes from Labour supporters! Not a fair playing field out there for UKIP, but we’re grounded and full of energy. Well said Gwen & rushisright!